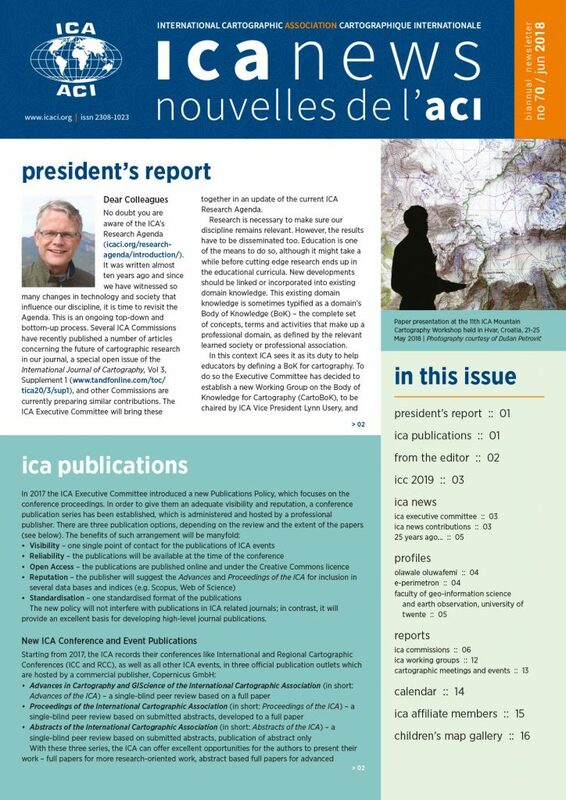 The new ICA Publication Policy is an important development reported in this issue of ICA News. We also learn about ICC 2019 preparations and are reminded about the beginnings of the Barabara Petchenik Children’s World Map Awards. Thanking all contributors and readers for your continuous support. lost the spirit of our Association. 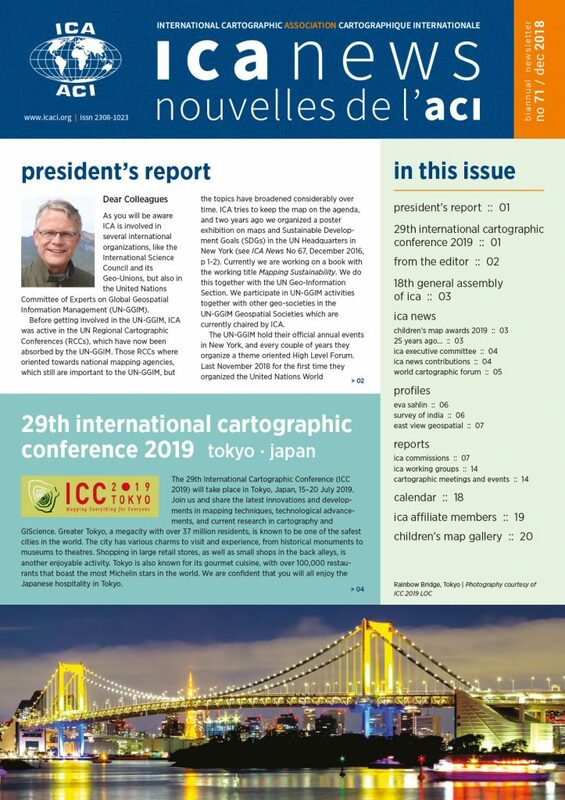 We look at ICC 2017 through the lens of various reports and statistics, and celebrate the achievements of our fellow cartographers. We are also invited to stay tuned to the summer events in Tokyo in two years’ time. 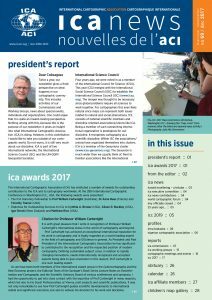 Predictably, the ICC 2017 features strongly in this issue of ICA News, complemented by the 17th General Assembly announcement. 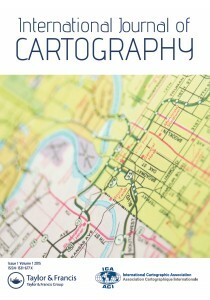 We are invited to the world cartographic forum and celebrate another volume of Children Map the World book. 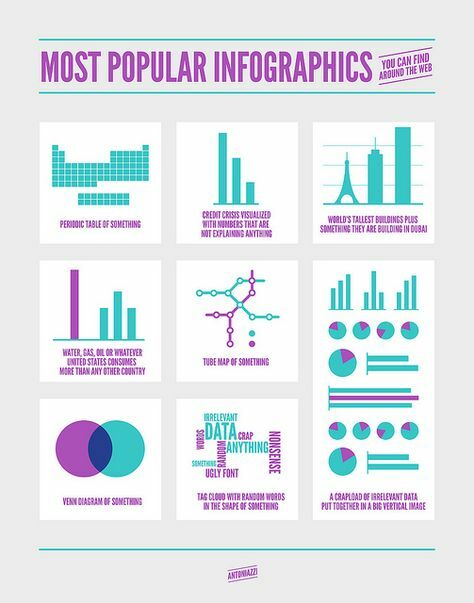 I hope you find the content interesting. 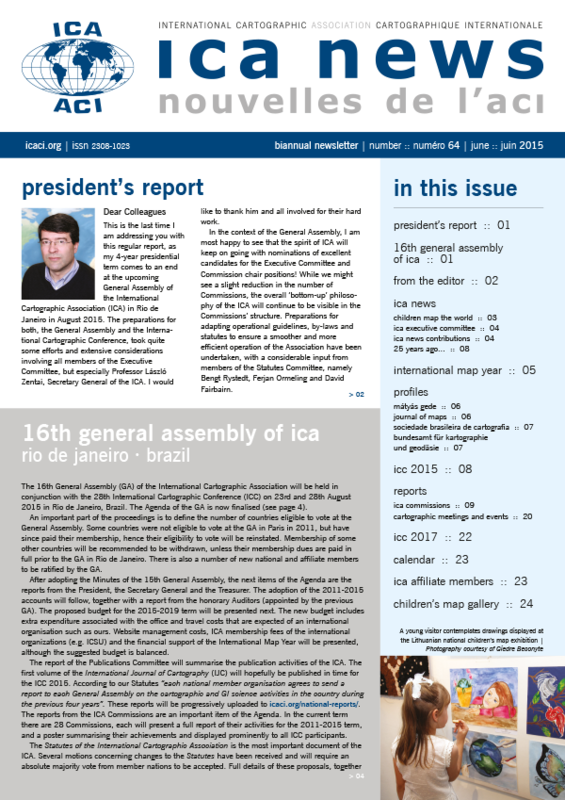 ICA News 66 now online – with a new design! 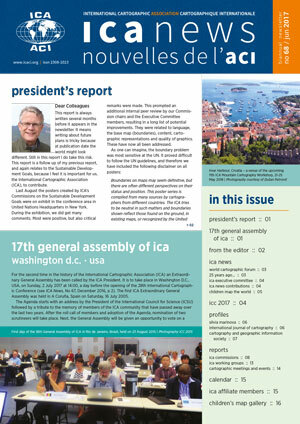 That dynamism and buzz enjoyed by our discipline […] inspired me to take a fresh look at ICA News. More colour, lighter visual elements and a brand new typeface, supporting even the most demanding typographic requirements, make up the new design. I sincerely hope you like it. 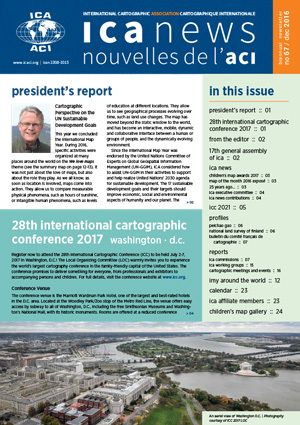 Our American colleagues invite us to celebrate cartography with them at the ICC 2017 in Washington D.C., while the IMY celebrations spread rapidly around the world – these are the flagship stories reported in this issue. 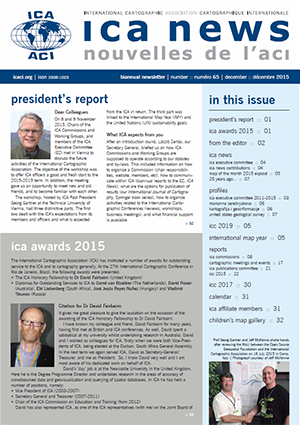 This 32-page issue of ICA News is the first in the 2015–2019 term. In addition to many familiar features, it contains the first report by our new President Menno-Jan Kraak and introduces the new Executive Committee. 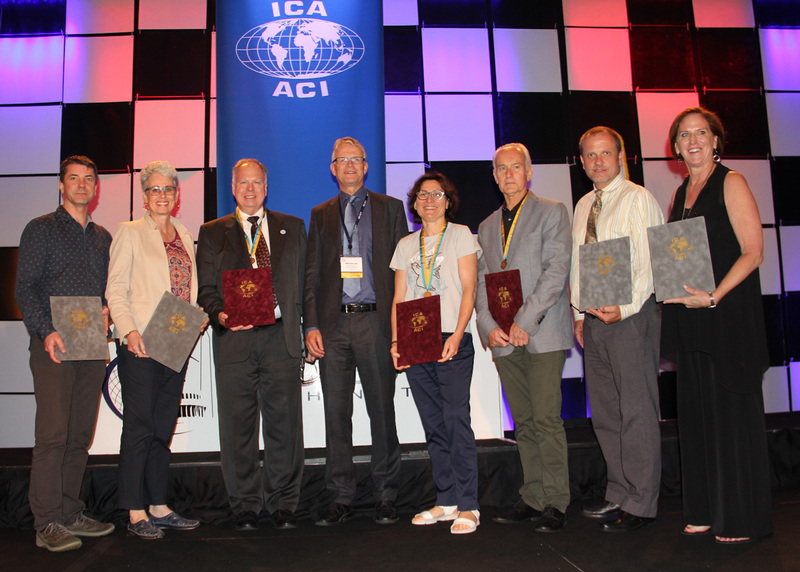 It celebrates achievements of ICA award recipients and provides detailed accounts of the ICA General Assembly and ICC 2015 held in Rio de Janeiro. IMY celebrations around the globe feature strongly together with an invitation to ICC 2017 in Washington D.C. 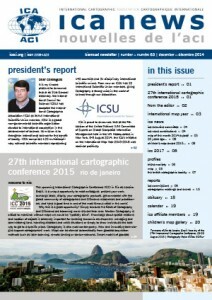 In this issue of ICA News, Rio de Janeiro invites us to celebrate cartography at ICC 2015. This time, the Conference is coupled with the General Assembly of ICA and its Agenda is described in detail. 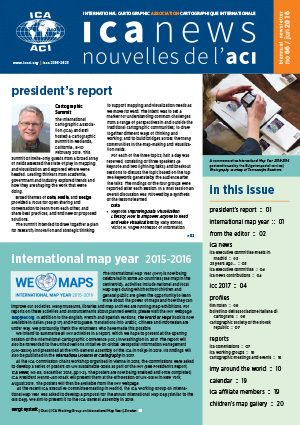 The International Map Year is in full swing in a number of countries, while children’s world maps are the subject of another Esri Press publication. This issue of ICA News invites us to ICC 2015 in Rio de Janeiro and celebrates our full membership of ICSU, a process that started 25 years ago! It also farewells Ramón Lorenzo, who contributed so much to the ICA and Spanish cartography.